“L’INTREPIDA”, the classic glider competition initially planned for January 4th last has been postponed twice but this time we really mean it… On Saturday January 23rd, saw the final opening of the race organised by ACAO’s Vintage Flying Group and the “Wood Pilots”. 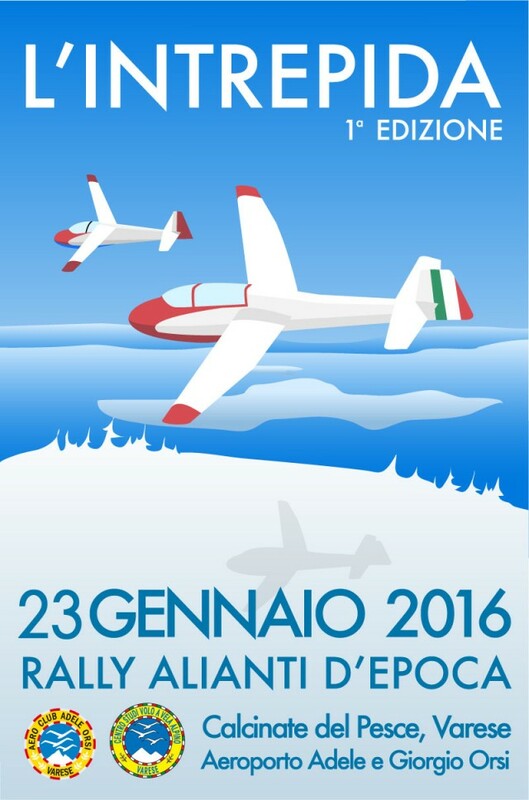 The event will be held at the Adele & Giorgio Orsi Airport at Calcinate commencing at 11.00. We remind you that the competition will follow a course given by the Contest Director over flying pylons proved photographically. Glider release will be at a fixed height of 1000m. The event will be considered closed when all the enrolled pilots have finished flying. Further operational details will be announced during the pre-flight briefing on the 23rd at 10am.